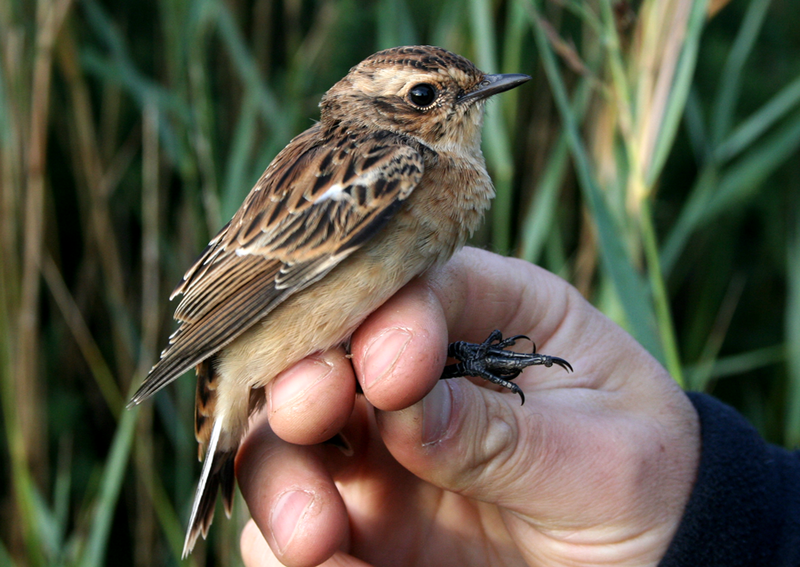 Once again we fulfilled our Aquatic Warbler survey commitments by having three ringing session at the study site in a week. No Aquatics of course, I was in Derby last Saturday on the date of that momentous occasion but negative data is just as useful. 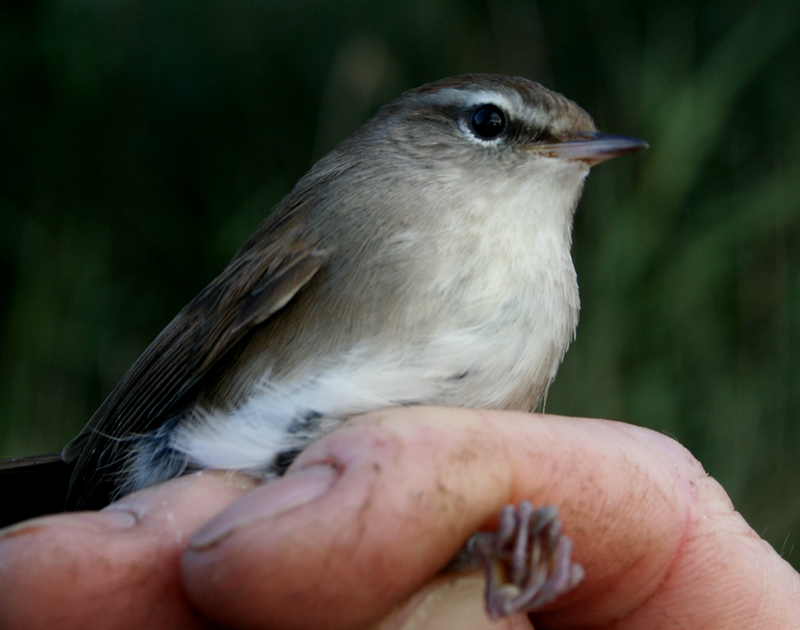 I intend to post something on Aquatic Warblers in the near future. Not so many birds today, but an interesting mix, 2 Grasshoppers, 1 Cettis and another Kingfisher. 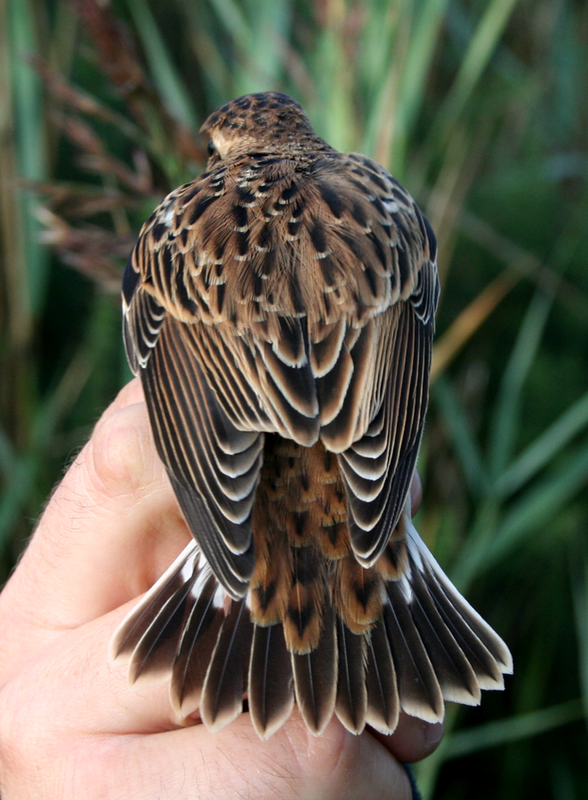 Anyone visiting the Bay and seeing a Kingfisher on a regular basis would presume it was the same individual but as we have ringed 13 during July and August, with only limited retrapping, shows that there is a consistent migration of birds through the site. 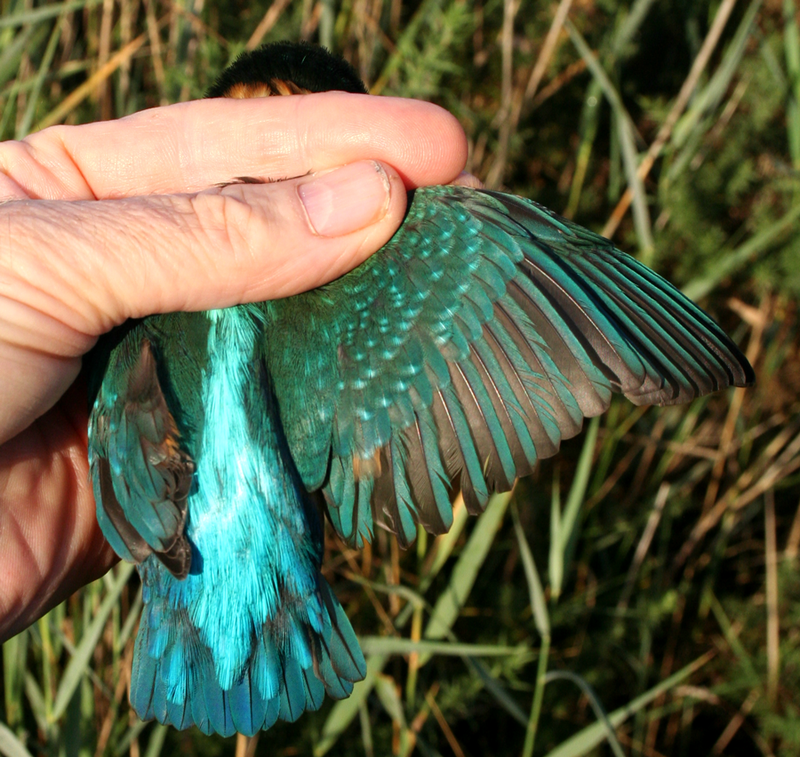 The brilliant blue colour of a Kingfisher is caused by optical refraction, not blue pigmentation. 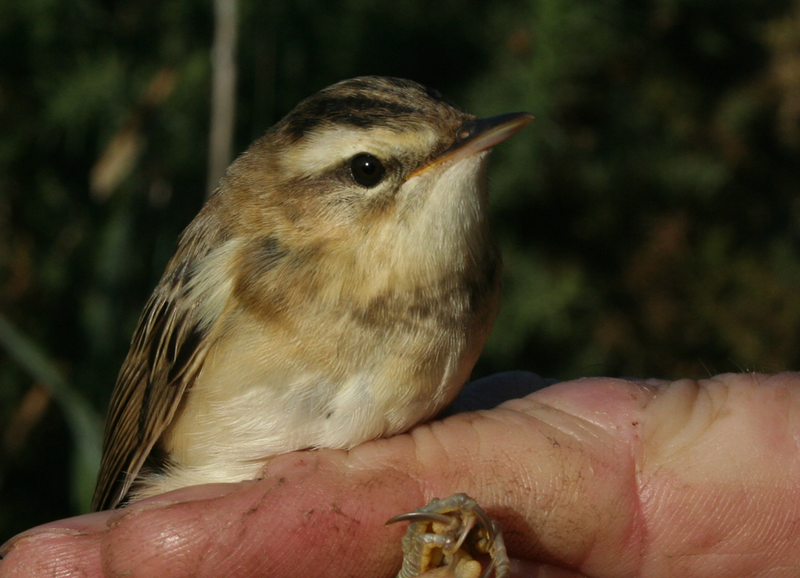 We try to avoid a target driven culture but this was our 500th Sedge Warbler of the autumn, a new record. 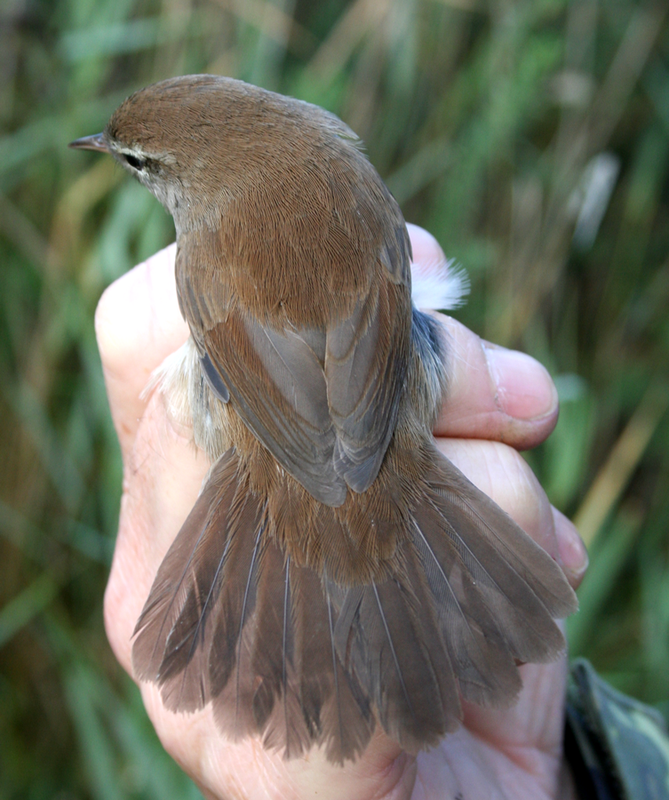 Cetti's have only ten tail feathers unlike most passerines that have twelve.